Staff photo by Doug Strickland / The former site of the Harriet Tubman public housing development, which was demolished in 2014, is seen on Tuesday, Jan. 8, 2019, in Chattanooga, Tenn. 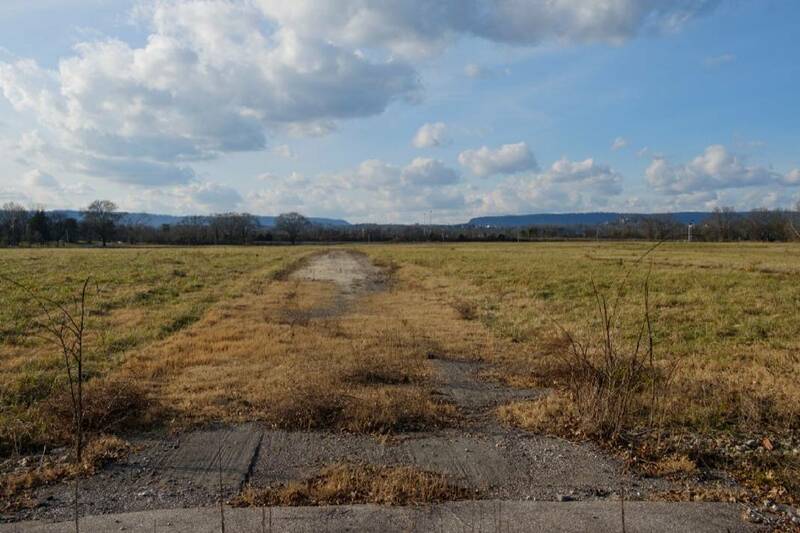 Despite pleas from some local residents for restrictions and delays, Chattanooga City Council members on Tuesday approved the broadest industrial zoning for the former Harriet Tubman site. The members voted 8-1 for M-1 industrial zoning at the former public housing site, and for conditions limiting the kinds of industries that could go there and other restrictions. Councilman Russell Gilbert was the dissenter in both votes. Mayor Andy Berke's administration is hoping the site will lure a top-notch employer who will bring living-wage jobs to depressed East Chattanooga, but some residents lobbied for a mixed-use site and some sweeteners for the neighborhood. At Tuesday's public hearing, Dr. Everlena Holmes asked the council to wait until the Area 3 neighborhood plan, under development by the Regional Planning Agency, is complete. She said local residents feel they haven't been heard, and "the level of distrust, apathy and cynicism among residents of the area is unbelievable." Unity Group Corresponding Secretary Eric Atkins said the group would like to see more flexible M-2 zoning, and that implementation be delayed to April 2. He said the group wants to hammer out a Community Benefits Agreement that would bind an eventual buyer. "The people of East Chattanooga must have hope and they must have progress," Atkins said. But Ken Smith, president of the Avondale Neighborhood Association, supported the broadest zoning that will make the most of opportunities for economic stimulus and job creation. "This long-game planning is what we're hoping to see," Smith said. Council members talked around various ideas. Two alternate plans would have included residential zoning at the site's edges on Roanoke and Southern streets, along with a 30-foot vegetative buffer to screen industrial activity from nearby homes. Councilwoman Carol Berz suggested linear parks, rather than buffers, and Smith suggested that space could have all kinds of uses. Councilman Chip Henderson said M-1 had the broadest application, and the council can rezone any property an eventual buyer doesn't need. Councilman Anthony Byrd, who represents the district containing the Tubman site, also favored flexibility. "There's not a lot of millionaires looking to invest in our community," Byrd said, and their focus needs to be on a good future for "babies that are coming up in our communities." Several council members said they would commit to a Community Benefits Agreement but Berz noted that it wasn't a zoning issue and could be discussed later. The added conditions forbid some of the most noxious industrial uses, such as foundries and junkyards. They require a transportation plan and keep dumpsters at least 200 feet away from homes. Atkins condemned the vote in a statement Tuesday night, saying it went against "the entities entrusted with urban planning and design." "If the public does not feel they can have fairness, inclusiveness and equality when formulating plans and strategies, you will see the wholesale erosion of trust in our civic and political institutions," Atkins said in an emailed statement. "It is time to end the divisiveness. If work does not begin soon, a prospect may emerge and Council be told that you need to approve the sale or lease immediately and there is not time to work on a CBA." The council also voted Tuesday to pick up the leasing and operations cost for the M.L. King Day event at the Tivoli Theatre, in partnership with the Unity Group. They received an update at their 3 p.m. agenda session on the RPA's process for drafting ordinances allowing "granny flats," or accessory dwelling units, on residential lots, and for regulations for development on steep slopes and flood plains. And, following a demonstration of Lime scooters in Miller Park last week, Vice Chairman Erskine Oglesby Jr. urged the council to start work again on proposed rules regulating dockless scooters in the the city. "I just think since it's starting to pick up steam, we need to get ahead of it," Oglesby said.